Stertil-Koni ECO LIFT is the industry’s original ultra-shallow full rise axle engaging inground scissor lift. It is available in both a 2 or 3 scissor configuration with lifting capacities from 60,000 lbs. to 90,000 lbs. 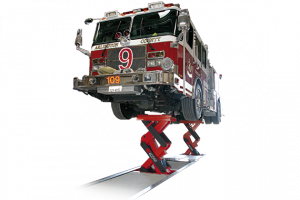 It features a ultra-shallow pit at only 34” but thanks to the scissor lift design it has a lifting height of 70” for maximum convenience and usability.